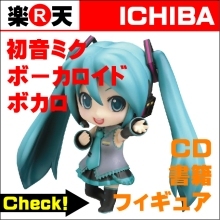 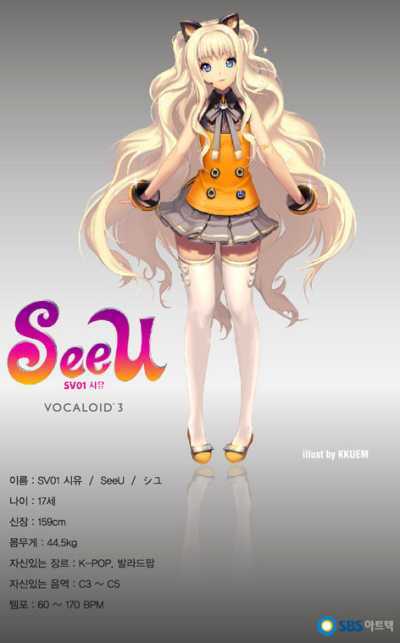 SBS_Vocaloid http://t.co/Dod0v6N　캐릭터 프로필 업로드해드립니다^^ 시유 많이 사랑해주세요~! 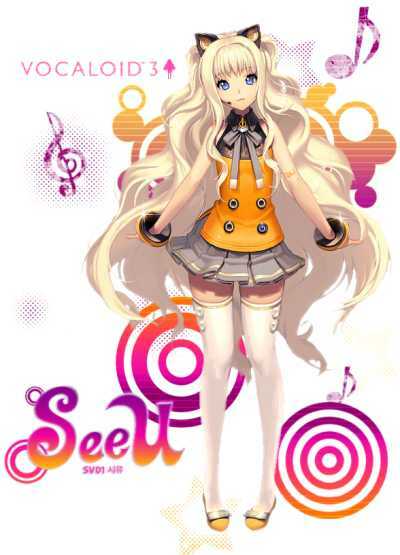 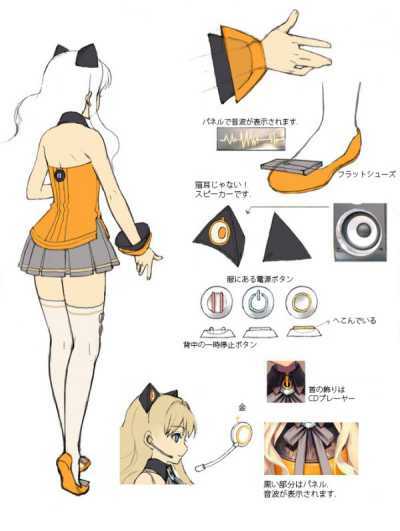 SeeU is a product which uses the technology of VOCALOID3 of YAMAHA of Japan for a song engine. 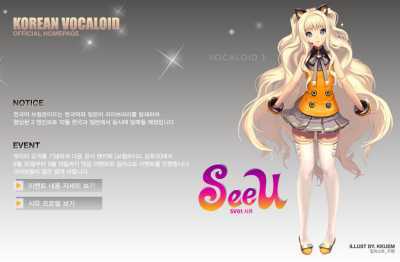 SeeU reproduces the data under voice which SBS Artech created with the song engine which YAMAHA of Japan developed.